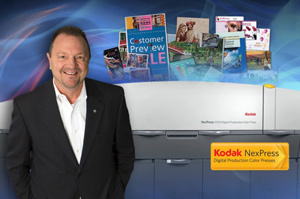 Printing & Copy Centers Atlanta | THP Graphics Group, Inc. The craftsmanship that goes into each printed piece takes a trained eye for superior color-matching and flawless alignment. It takes a skilled and steady hand as man and machine become one. As ink meets paper a type of magic is born out of a pursuit for aesthetic excellence. Plus, it looks pretty amazing when it’s all done! Since commercial printing built THP’s foundation over the last three decades and is still very much an essential part of who we are as a company, you can trust our masterful approach when printing your next high-end catalog, brochure or magazine. We also happen to be among a select handful of printers in the country to utilize an 8-color Heidelberg press. By utilizing the latest technology we provide our clients the most flexible printing options at the highest quality available. We want to help you generate new business while saving money through our direct mail services. Let us handle your next mailing from list acquisition and labeling to mailing and delivery. with the right printing approach to advance your business.